Laura Marling is a really big name nowadays. She isn't just someone trying to break onto the music scene, or just another artist to lump in with Mumford & Sons and the folk revival that British music seems to have descended into in the last few years, she's up there and deservedly so. Her latest and fourth album, Once I Was an Eagle, is majestic, beautifully crafted and has all the makings of being Marling's best work yet. Not only is her voice gorgeously entrancing but Marling's songs give off a real sense of substance. She has serious weight to her incredibly light-sounding vocals. Every line she sings we believe; every nuance is captured on this record and it works so well as her personality shines through just as much as her brilliant voice. A song like 'Breathe' is so smooth and effortless, it just flows straight into 'Master Hunter' which is where Marling shows off her attitude, her swagger and her seductive charm. The album contains 16 songs and it flows perfectly. At no point do you feel like the album is dragging or repeating any of the same motifs or riffs. Everything feels fresh, vibrant and exciting. A song like 'Once', in all its simplicity and free-spirited nature feels, like something you've never heard before, but that's Marling offering up songs which are perfect and immaculate, or which are flawed but stay engrossing. 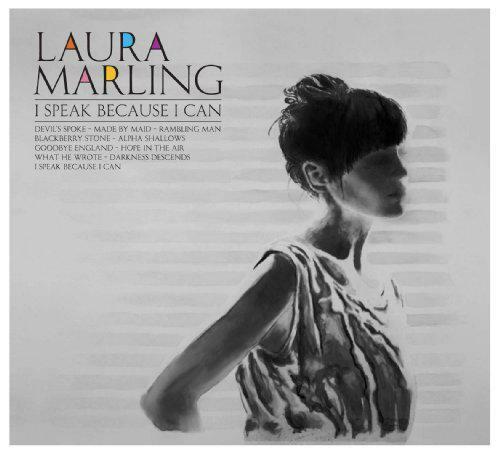 The thing to remember about Laura Marling and her songs is how unconventional everything is. Then again, Dylan was as unconventional as you could get at times. It's hard to not think she's a genius and that she should be right up there with the greats of British folk music. This album is tantalizing. The niggles or bad points aren't even worth dwelling on. It is a record which needs to be heard and admired by all.